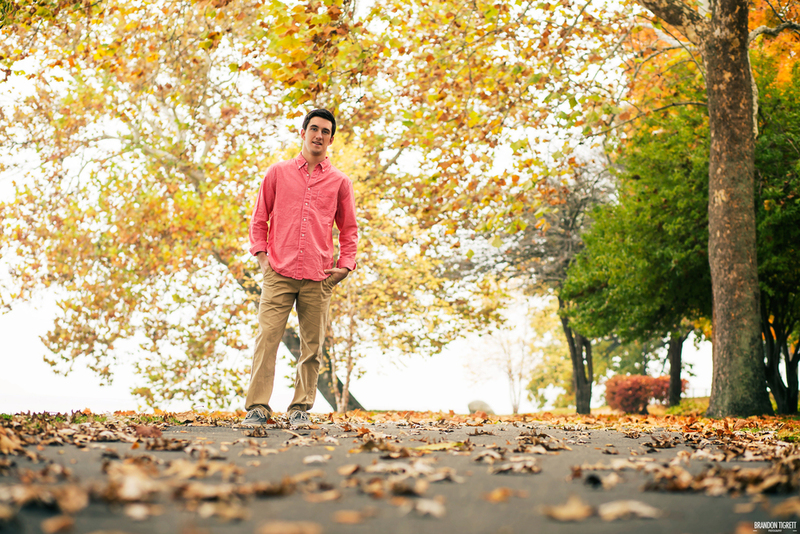 Zach’s senior session ended a bit differently than we would have planned. Although, it definitely added a bit of extra excitement into the day. We met up with Zach Saturday morning, about an hour or so after the sun had risen. Not ideal, but not horrible lighting either. Especially since I was no longer shooting in the desert, where full tree’s seem to be as mythical as big foot. We had gotten to the campus about an hour earlier and did a bit of location scouting. Every inch of the place was picture perfect. We had the perfect fall day. The leaves had already changed colors covering the ground, and beautiful, historic buildings completed the scene as you looked out over the lake. Long story short, I was in a photographer’s paradise. Zach was a breeze to work with. He had a natural coolness about him, paired with an easy smile. I had no problems getting great photos. 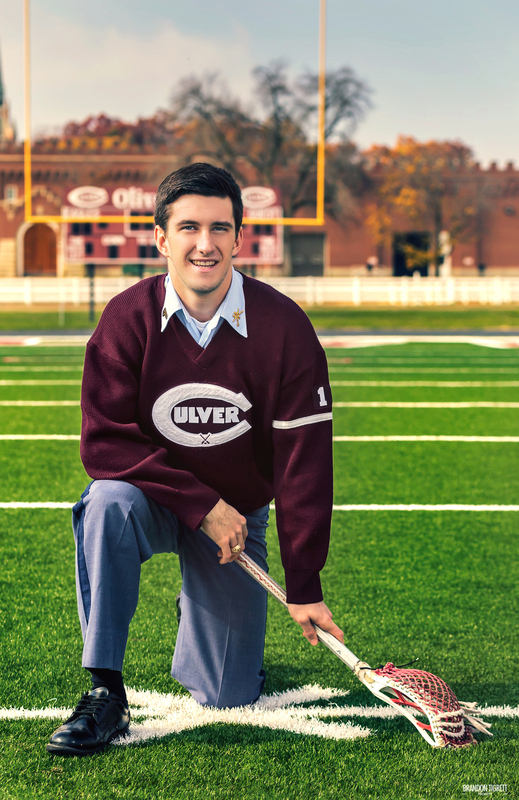 We moved around the campus, utilizing different scenes, until we found ourselves at the lacrosse field. This is where we add a little spice into the story. In the middle of a shot, I see Zach’s expression turn. It showed concerned. I turn around and see a security officer strutting towards us. Yes, he was strutting, and he thought he owned the place. I told Zach, forget about him, let’s keep cranking out photos. We squeezed in a few more frames until the security was upon us. We tried to talk our ways out of it, but he shut us down and said we couldn’t continue without a special permit from the head of communications. So we packed up, and headed over to the communications office, where the man we needed to talk to, gladly brushed it off, and wrote us a “kitchen pass” as he called it. Basically stating, show this to any security if they hassle you again and you’ll be fine. Luckily for us, the lacrosse photos were the last we needed to shoot and we got enough where we didn’t need to head back out and continue. To close this post out, I'd like to wish Zach luck in all his future endeavors. I know he'll be a successful kid. He's got a great attitude and work ethic. 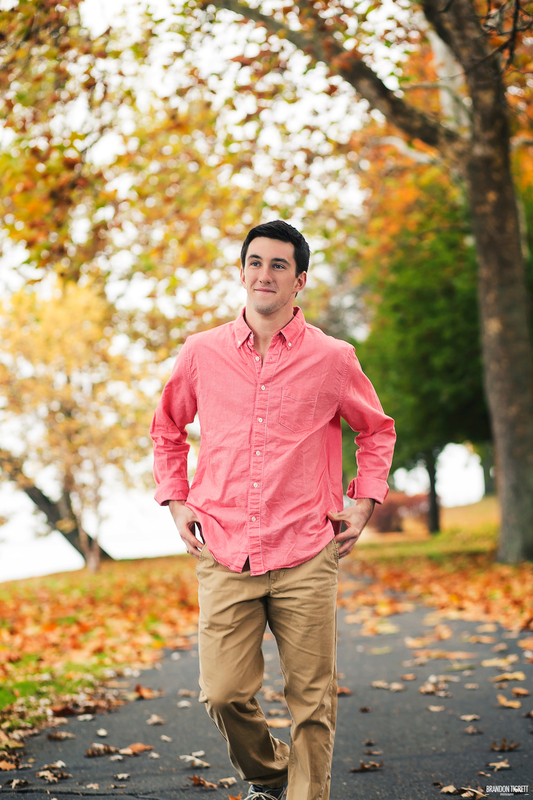 For the most part I was using a 43″ Westcott Apollo orb as well as a 36 x 48″ Westcott Soft Box. Inside both of these was a single LumoPro LP180 speedlite paired with a Pocketwizard Plus X radio transceiver. I would switch between the 2 lighting modifiers depending on which I wanted to use as the key light and which as the fill. For most of the on ice shots I used the larger softbox as the main light and the apollo orb to create subtle highlights focused more on the face. The camera I was using was the Canon 6D, and I switched between the 85mm f/1.8 and the 24-105mm f/4 depending on the scene and look I was going for. For most of the shots, besides the on ice ones, I tried to match the ambient light as much as possible, while providing a bit more highlight on the body and face to separate the subject from the background slightly.